We have a webinar coming up this Thursday on the topic of parametric optimization of vertical axis wind turbines. One of the engineers working on the webinar told me this morning he felt this webinar does not have as much technical content as our past webinars. We try to make sure our webinars and online videos are real learning experiences and not just a bunch of marketing hooey, so is this really the case? Why does this engineer think this webinar is not as technical? I think it is because it does not focus on details of grid generation techniques or approaches to solving a particular meshing problem. 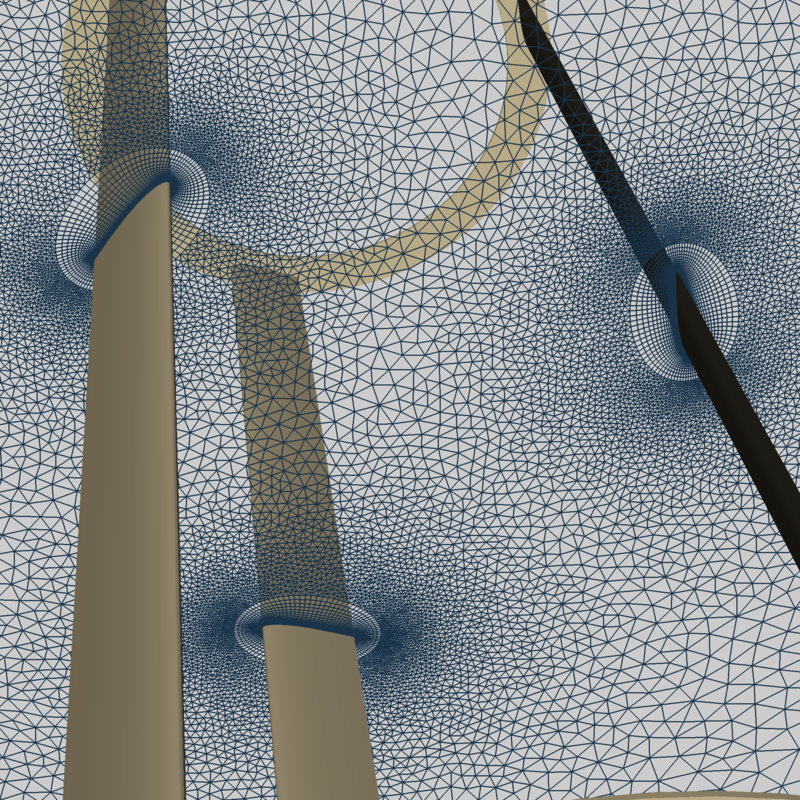 Instead it shows how scripting can be used to couple a mesh generator, a CFD solver, a postprocessor, and an optimizer in order to automatically perform a parametric optimization. We will discuss considerations for mesh topologies to use and general meshing practices to make the meshing portion of the process robust, but there are not a lot of details about the grids themselves. Also, we will not provide a lot of detail about the guts of the scripts. There is not enough time to go through the scripts line-by-line, and even if there was enough time that would be really boring and not very educational. The webinar will focus more on what the scripts produce rather than how they are written. You will have to read the Glyph Reference Manual, come to one of our training classes or download some sample scripts from the Glyph Script Exchange if you want to learn scripting. So maybe he is right. There are not a lot of technical details in this webinar. But I would argue there is still some “technical meat.” This webinar focuses on technical concepts rather than details, but it should still be a good learning experience. Will you be able to sit down and right your own automatic mesh generation script immediately after watching this webinar? Only if you are already familiar with our Glyph scripting language. But I hope the webinar gives people an idea of how they can use scripting to save some time and gets them to at least try Glyph scripting for some small things. If you watch the webinar, let me know what you thought of it, particularly about the level of technical content in it. It takes a lot of preparation to put on a webinar, and we want to make sure people are finding them useful. This entry was posted in Applications, Events and tagged CFD, Glyph, scripting, webinar. Bookmark the permalink.